Like a fingerprint, every person and their hearing is unique. This is why we commit to listening and learning everything we can about our patient’s individual hearing needs. Creating a customized hearing solution and providing an unmatched level of patient care is our mission. Keeping our patients hearing well and connected to their loved ones is our purpose. Ashley McGee is the founder of San Antonio Custom Hearing and one of our mobile hearing providers. She is Board Certified in Hearing Instrument Sciences and active member of The Texas Hearing Aid Association. 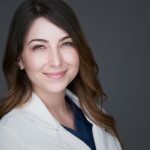 She has extensive experience in the testing and treatment of hearing loss and has a deep appreciation for continuing education. She believes that the more she knows, the better she can serve her patient’s unique hearing needs. Ashley has an eye for detail and the skill to successfully fit even the most difficult of hearing losses. She is fluent in American Sign Language and is deeply committed to the field of Hearing Sciences and Audiology. Ashley is also a provider for the Foundation of Sight and Sound, which helps enhance the quality of life of men, women, and children facing both hearing and financial challenges. 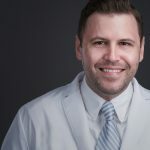 Matthew McGee is a Board Certified Hearing Instrument Specialist, member of The Texas Hearing Aid Association, and provider for The Foundation for Sight and Sound. Matthew is highly experienced in both the treatment of pediatric and adult hearing loss. He also specializes in fitting those with single-sided deafness and hearing loss associated with diseases of the middle ear. He has a reputation for being a consummate professional that goes above and beyond for his patients. Matthew is passionate about noise-induced hearing loss prevention and creates custom-fit earplugs at noisy events in San Antonio and surrounding towns.